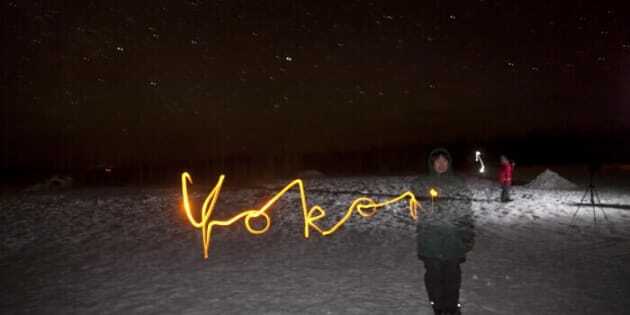 Northern Lights In The Yukon: Is Canada Inadvertently Solving Japan's Population Decline Crisis? It was a chilly but clear evening (-35 degrees Celsius) when we got on the tour bus in Whitehorse, Yukon. The tour was for the viewing of the spectacular northern lights, an atmospheric phenomenon that is best viewed under certain environmental conditions during certain periods of the year at certain locations in the northern hemisphere. It was for such a tour that I had joined a motley crowd outside the Best Western Gold Rush Inn in Whitehorse in March. The tour was organized by Northern Tales, a local operator in Whitehorse (pop: 25,000). I could not help notice a second bus that was being boarded by a large contingent of Japanese tourists who were also lodged at the Inn. I knew the Japanese to be avid global group travelers, but never did I expect to see so many at one time in one of the remote regions of northern Canada. The first night out for the viewing was disappointing. 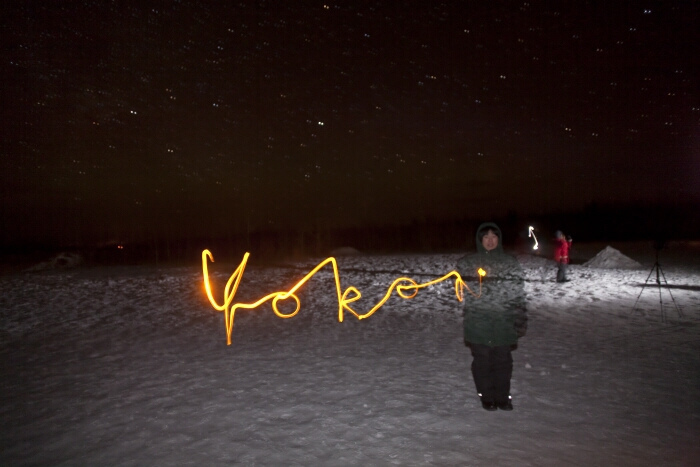 Our collective groups did not see the Aurora Borealis effect despite the clear sky. We were told by the tour guide that such is the nature of the tour. It is after all an atmospheric phenomenon that cannot be guaranteed by any means. We did manage to capture some faint light effects through the special camera lenses but to the naked eyes, it was just the same as stargazing the heavens on a clear night in the city. Indeed there were tourists from as far away as Brazil, Mexico and Germany, but it was the Japanese tourists who seemed the most anxious for a potential viewing, and subsequently the most despondent on the lack of it. We eventually boarded our bus around 1:45 AM and departed back to the Inn. Upon arrival a long line had formed in front of the single elevator in the lodge. As we waited in line, I could not help notice that most of the guests (from the tour) were getting antsy and some left to simply climb up the stairs with their heavy gear and all. It was late, cold, and most had paid a decent fortune to come up to view the lights, which on this day was not in its full effect, so I could understand. But the Japanese group was quiet, orderly and humble as they stood in line though the collective mood was solemn. This was a very interesting observation though not a very surprising one. While I have yet to visit the Land of the Rising Sun, my admiration for the Japanese discipline, or Kiritsu, arose from the experience that every blooming teenager growing up in the bible belt of Midwest USA has - the Japanese foreign exchange student. My over-agitated hormones back then did not stop at simple attraction over the girl from Tokyo sitting in the front row; It led to a blooming infatuation for her, which sadly was not reciprocated, as Minami told me (when I mustered enough courage to express my feelings for her) that she was committed for life to her boyfriend. In retrospect, a little less Frat boy and little more gentleman in me might have helped my case. Nevertheless, Minami and I became very close during our freshman year at University. It was during that period that I witnessed the discipline, commitment and dedication, which is the Kiritsu of Japanese culture, through her. On the second day in Whitehorse, the groups started to collect in the lobby in preparation for our second night of viewing. Our hopes were high but we were anxious as well. What if it was a repeat of yesterday? That would be a total bummer indeed. Our group boarded the bus with the English speaking guide, while the Japanese group from previous night boarded a separate bus with a Japanese speaking guide. On this night, they were not in the same viewing camp as the rest of us. They were in the adjacent camp to ours. As the night passed, we waited inside the Tipi setup in the camp with a wood burning stove to stay warm as the temperature dropped slowly through the evening. It was around midnight, that one of the group members in our camp burst in and exclaimed that the lights had started to form. We rushed out to be met with the most astonishing atmospheric phenomenon one can set his or her eyes upon. But what intrigued me as much as laying my eyes on the lights in the sky was the loud cheering and laughter coming from the camp nearby. It was the Japanese group. While our group was full of "Oh" and "Wow", it was almost 'Canada Day Celebrations' going on next door. Our tour guide later informed us that, to the Japanese, a northern lights viewing is considered auspicious. The Japanese folklore is that if a child is conceived under the northern lights then the child will be born very lucky and with good health. Regardless of whether this folklore is an urban legend or not, the northern lights are indeed very popular among the Japanese. Apparently the top viewing destination is considered to be Yellowknife, NWT. Our tour guide told us that Whitehorse was historically down the list of viewing destinations after Yellowknife (Northwest Territories), Fairbanks (Alaska) and Churchill (Manitoba) but ever since the lights became popular after a Japanese celebrity saw the lights and reported back on national television, traffic has significantly increased to Whitehorse. According to a representative from Northern Tales, the local tour company, Japanese visitors is the biggest group of international visitors in Whitehorse. It had about 2,000 visitors from Japan between August 2012 and April 2013. There have been several media articles on the coming demographic crisis of Japan. One article reported that the country is to shrink by one-third by 2060 with seniors accounting for 40% of the population (Huffington Post, Jan 12). Some of the causes for this decline often cited are low fertility rates and lifestyle choices. After returning to the lodge, we were once again waiting in line for the elevator. The mood in the lobby was a stark contrast from the previous night. The Japanese group was jubilant. Most were scattered around the lobby making a small but delightful ruckus. 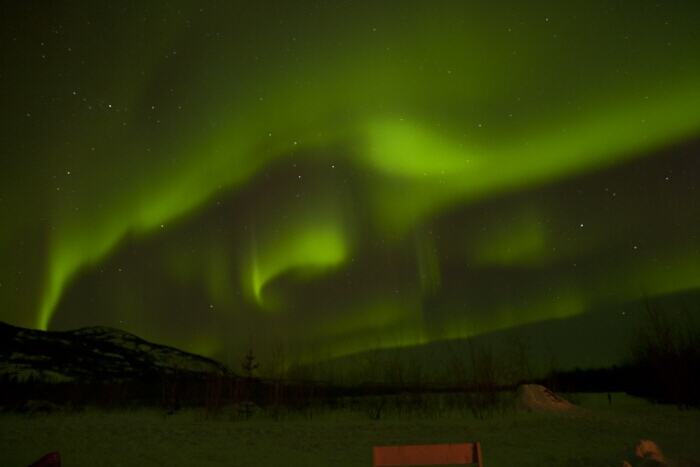 I remembered the story our tour guide told us about auspicious fertility under the Aurora. I couldn't help smirking. This was going to be a long and busy night in Whitehorse, Yukon. To read more on Abi's journey to Yukon and the Northern Lights, visit his blog stories - Aurora Borealis Tour in Whitehorse and Affordable Vacation in Whitehorse.